DARIEN — Connecticut is the seventh oldest state in the country based on median age, with 487,000 residents over the age of 65. However, Julia Evans Starr, a leading authority on aging, health care and disability who led the Connecticut Commission on Aging for over 20 years, sees that as a positive. Focusing on new opportunities for Connecticut’s rapidly-growing senior population was the focus of Evans Starr’s presentation when she spoke Dec. 13 at the annual meeting for At Home in Darien, the town’s local private, nonprofit that helps community members age 60 and older stay connected to the community. Annie McGuire, president of the organization’s board, said Evans Starr was chosen to speak about possibilities for the senior population, particularly in light of cuts made in the state budget. For more information about At Home in Darien and its benefits, visit athomeindarien.org. McGuire said that among the numerous cuts on the state level, many seniors lost their Medicare. “It’s really a loss of advocacy for seniors and funding,” said the Darien resident who joined At Home after her own father had a stroke and needed home assistance. Evans Starr did address some of these legislative changes with local seniors who came to the meeting, specifically the merging of the state Department on Aging with the state’s department for rehab services. “The people are still there, the roles are still there,” she reassured the group. 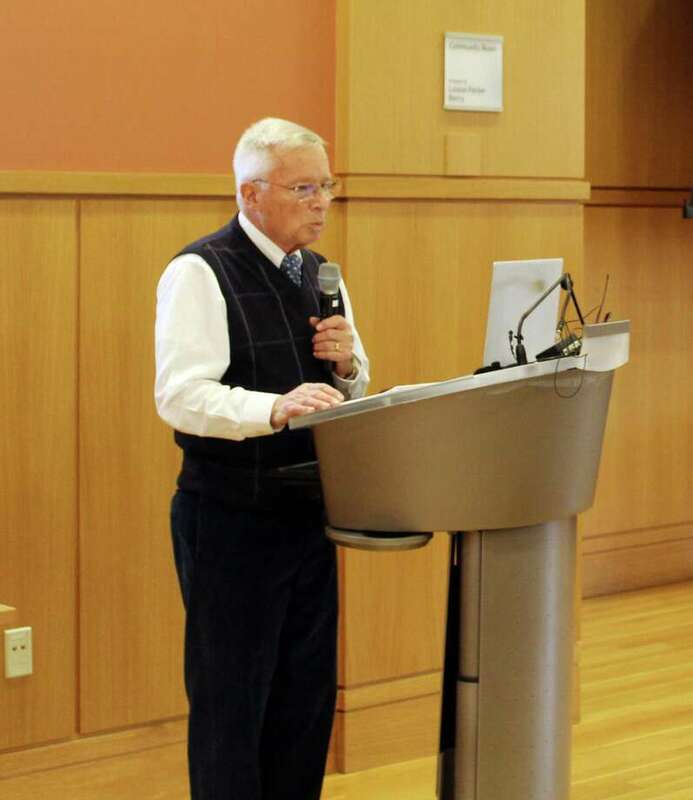 Evans Starr also talked about the changing landscape of senior care, which includes taking into account senior needs and eliminating the negative connotations about aging. “I think the new way of aging is asking people what they want and creating services around it,” she told the crowd. In particular, she spoke about a senior’s desire to live in their own home and the different adjustments and communities being made to allow that to happen. The meeting, the only one of the year for the 11-year-old organization, was well attended with members circling the library parking lot for spaces. Darien Board of Selectmen Susan Marks and Pamela Sparkman were in attendance, as were state Sen. Carlo Leone, D-27, Sen. Bob Duff, D-25, and Rep. Terrie Wood, R-141. Peter Eder, one of the organization’s founding board members, said he was pleased to see so many people come out to become further informed. “We were created to be a safety net and we’re doing that,” he said. Pat Parlette and Jane Matthews, two At Home in Darien members, said they went to stay up to date on issues on the local, state and national levels. According to At Home in Darien, 15 percent of the town’s population is seniors.